Although worth the time, cinnamon rolls can be a very time-consuming task! 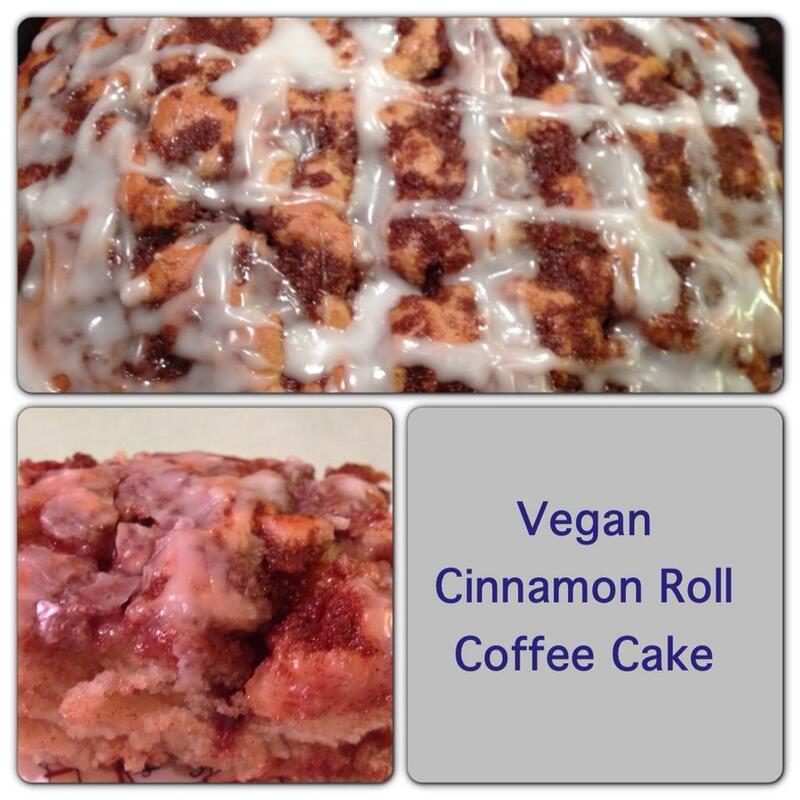 This vegan cinnamon roll coffee cake is every bit as good but without having to spend all morning baking! It takes about 10 – 15 minutes to assemble and 20-25 minutes to bake! I just whipped some up for Easter morning… although I did have to taste it, but only to make sure it was good! 😉 and oh was it ever! Using a hand mixer on medium speed, combine applesauce, vegan egg, and non-dairy milk. Whisk together dry ingredients then add to milk mixture and mix gently until well combined. Spray 9x9x2 inch pain with non-stick spray and pour mixture into it. Sprinkle with streusel topping making sure to cover all areas. With a spoon (or your finger!) gently poke some of the topping down a little into the flour mixture. Bake at 375° for 20-25 minutes. Remove from oven and allow to cool for a few minutes before drizzling glaze over the top. Mix together 2 Tbsp melted vegan butter, 1/2 cup brown sugar, 2 Tbsp flour, 2 tsp ground cinnamon, until well combined. The mixture will be crumbly. Combine 1-1/2 cups powdered sugar, 1 tsp vanilla extract, and 3 Tbsp rice milk. Whisk until smooth.